Coachella&apos;s lineup seems to get more geriatric with each passing year. In Day 1 of this year&apos;s festival we saw Steely Dan and a reunited Ride. 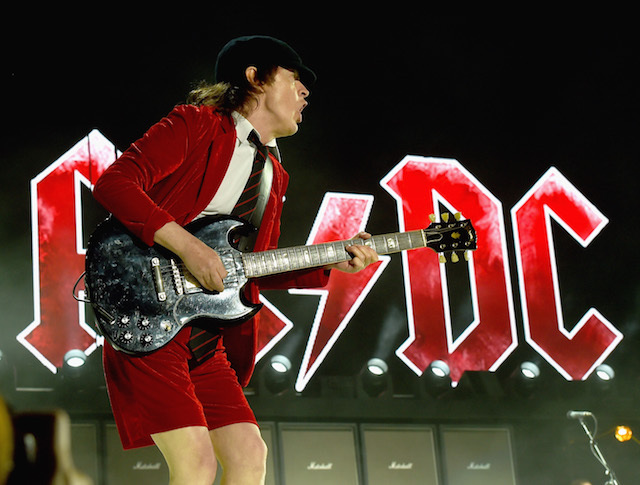 But of course the biggest name of the dad-set was AC/DC, who headlined the first night of the weekend festival and played their first show in six years. Sadly this is also the Aussie rockers&apos; first show since rhythm guitarist Malcolm Young retired to due to dementia. Although Coachella is the first show on their world tour promoting their latest album, Rock Or Bust, as expected they delivered all the classics last night. "I hope you guys like rock & roll, because that&apos;s all we do," said lead singer Brian Johnson last night. Terje also had a massive dance troupe do a set for "Inspector Norse"